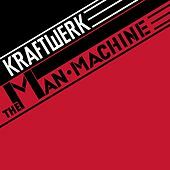 The Man-Machine is one of the most groundbreaking pop albums of all time. Forget about Bowie's ersatz space-robot shtick and practically all the synth pop that came in the wake of it; this is disco made by real robots. German robots. Kraftwerk basically encoded the language of New Wave with this one.